What data can the alarm recipient view through his mobile device? 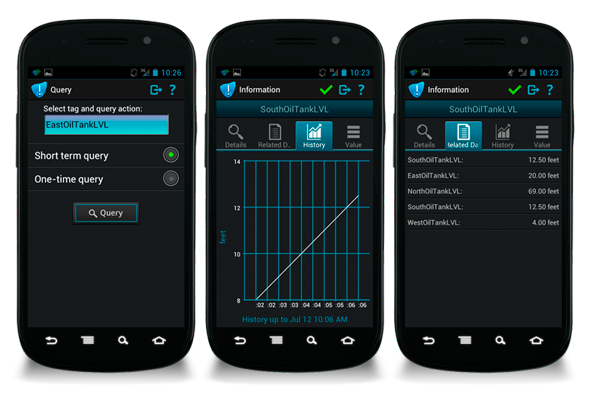 Users can query and access current SCADA data from their mobile device. A group of historical and up to 10 related SCADA data is delivered to the mobile device along with the alarm.